Why is Amber Rudd still detaining a torture victim, despite condemnation from the judiciary? Rudd is not disputing that the man, from Chad, is a victim of torture but has not abided by orders to release him [Image: Andrew Milligan/PA]. This is inexcusable behaviour from the holder of one of the highest offices in the UK government. Home Secretary Amber Rudd has made no attempt to justify her continued imprisonment – let’s call it what it is – of an asylum-seeker from Chad, in Africa. She has ignored repeated court orders requiring her to do so, and couldn’t even be bothered to send a Home Office barrister to the hearing yesterday (August 23). Are the Conservatives now showing open contempt for the law? 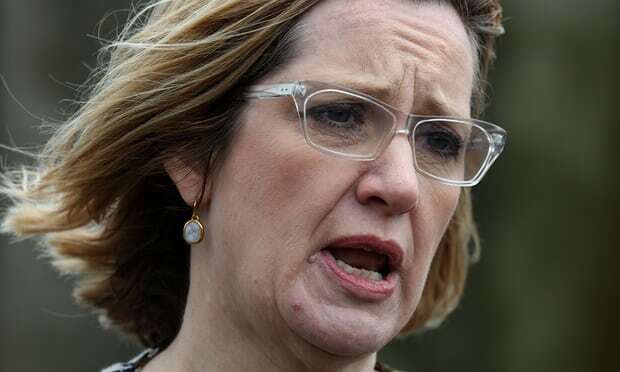 A high court judge has said she is “deeply concerned” about the behaviour of Amber Rudd for failing to release a survivor of torture from detention despite repeated court orders requiring her to do so. On Wednesday Mrs Justice Nicola Davies DBE presided over an emergency high court hearing to examine the home secretary’s delay in releasing an asylum seeker who had been tortured in a Libyan prison with electric shocks and falaka – beating on the soles of the feet. She added that the home secretary had failed to provide a satisfactory explanation for the delays in releasing the man from detention. It is unusual for a high court judge to condemn a senior government minister in such strong terms. In a mark of her disquiet about the secretary of state’s conduct she not only awarded costs against her but also made an indemnity order – something reserved for conduct or circumstances that take a case “out of the norm” and a mark of disapproval by a judge. Even more sinister is why Rudd is still holding the Abuse witness Melanie Shaw as a political prisoner . The deteriorating psychological condition of Melanie Shaw after being held in a Sodexit prison under solitary confinement for over a year now is a National disgrace. Imprisoned initially by Home secretary Theresa May: evidently frightened of the testimony of Melanie Shaw the usual Psychiatric evaluations by tame professionals have enabled this imprisonment to continue unchecked, and surely must be a defacto crime against humanity. Where is the outcry?